What is Velour and How Does it Differ From Velvet? 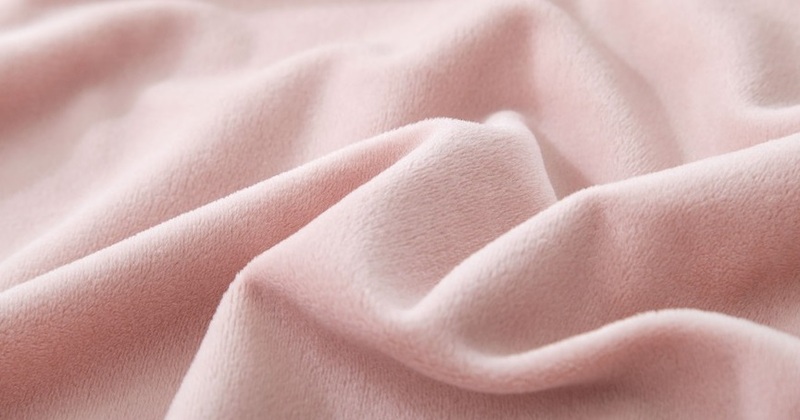 Velour is an incredibly soft, plush textile which is very similar to velvet (albeit much less expensive). It’s characterised by a wonderfully soft-to-the-touch finish with cut fibres that follow the stroke of your hand, and drapes seamlessly. But what is velour, and how does it actually differ from velvet? Read our guide below to discover more about this luxurious, power fabric of the 70’s. What is Velour made of? 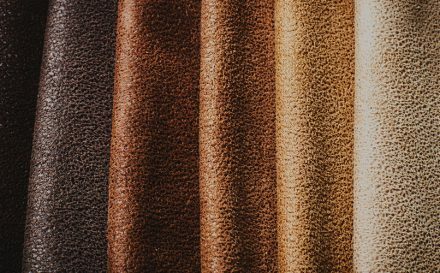 Despite its luxurious finish, velour is typically made from cotton or cotton, and can even be made from synthetics such as polyester. The signature soft texture on the surface of velour is known as ‘pile’, and is made by cutting across looped threads with a special weaving process. Although created with a similar weaving process, velvet is actually made from pure silk – making it much more expensive and high-end. There’s a fair bit of speculation around where velour originated, but most seem to agree that it was first created somewhere in the Far East and travelled along the Silk route to Europe. ‘Velour’ is the French word for ‘velvet’. 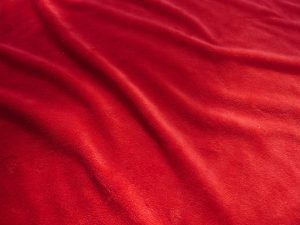 Although not technically velour, pieces of velvet have been found in China which date back to old dynasties, as far back as 206 BCE. In 2000 BC Cairo was a production hub of velvet, alongside Iraq, creating the textile for royalty and the very wealthy. Originally velvet took such a long time to craft that it was incredibly expensive, making it a very high-end luxury good. Mass manufacturing of velvet’s cheaper counterpart, velour, began back in the 1840’s with the production of cloth bolts. With increasing popularity, a variety of velour became available to the market, which unique finishes such as cotton, wool, ribbed and polyester. 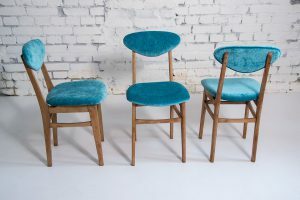 Up until the 1970’s velour was primarily used for upholstery and household items, and only became popular in clothing in the late 60’s and 70’s – despite begin ridiculed for its background in furniture. Velour became the fabric of a generation in the 1960s and 70s, as almost a rebellion against the fashion and societal constructs of the time. Being soft, comfortable and colourful, it was almost the polar opposite of the tailored, well put together clothing that was on trend for both women and men. Despite not necessarily being one of the most fashion forward fabrics, velour still became so popular that it eventually made its way into mainstream fashion, especially after bands such as the Bee Gees were seen wearing it in the 70’s. The textile was embraced with open arms, with Adidas and other sportswear brands creating signature tracksuits and sports gear using the super soft material. Even in the 90’s, Jennifer Lopez’s first clothing line was pretty much entirely velour tracksuits with those signature flared legs – and that’s definitely one we’ll remember. What is Velour Used For Today? We know it’s delightfully soft and impossible not to touch, but what is velour actually used for? Although this infamous fabric did have it’s place in fashion a few decades ago, because it’s generally known as the cheaper imitation, most fashion designers favour velvet in modern fashion. Velvet itself has been in and out of fashion more times than we can count, but never fails to make a striking comeback. Velour is generally known as a ‘comfy’ fabric, meaning it’s used for all things cosy and super soft casual-wear – pyjamas, tracksuits, slippers, leggings and dressing gowns. For the optimum lounge-wear, you can’t go wrong with this silky smooth textile. Velour still tends to be favoured in home ware where it will endure more wear and tear, and so a cheaper fabric is often preferred over pure silk velvet. As mentioned, velour and velvet are very similar and are commonly confused for the same material. 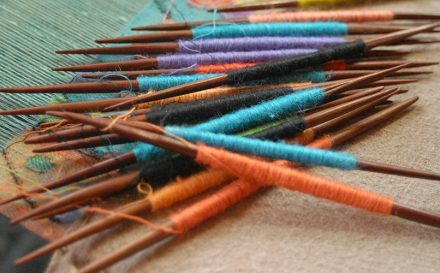 Aside from being made from very different fibres, the weaving process does differ slightly too. 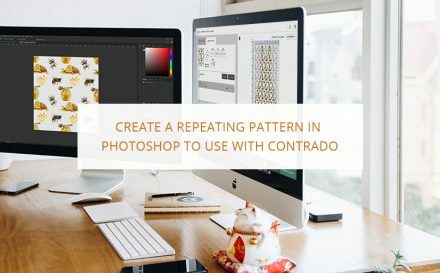 When weaving velour, the yarns are knitted into loops to make a pile weave, and then the small loops are cut off which causes the fabric to lose its sheen. Velvet is actually woven on a special loom which weaves two thicknesses of the fibres at the same time. The two pieces are cut apart which creates the tufted soft pile effect with the layers being wound onto separate rolls. 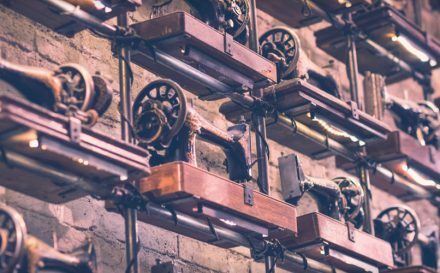 Before industrial power looms were available, creating velvet was very complicated and time-consuming, which contribute to its higher price alongside the all natural silk fibres. 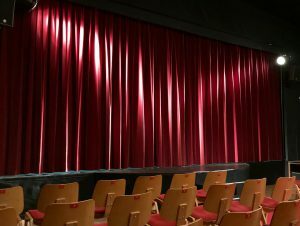 Because it is knitted, velour is traditionally much stretchier than velvet, but developments in the textile industry means that velvet can be used for almost all the same applications these days – from curtains to clothing or upholstery. Feel the difference between velour and velvet and explore over hundred other types of materials with your very own fabric swatch pack. Understand the texture, strength and finish of the fabrics by taking a hands on approach. What is Cashmere & Why is it So Sought After in the Fashion Industry?